At Vogler Ford, we know that researching, financing, and buying a used or new vehicle can be a time-consuming and stressful experience. At our Ford Dealership, we aim to make that process as smooth and streamlined as possible by hiring the best staff, possessing a diverse and high-quality inventory, and offering the best prices and deals for our customers. If you’re in the market for a vehicle, take a look and see what benefits we can offer you for the buying and service experience. 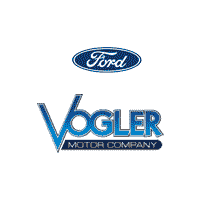 At Vogler Ford, we possess an extensive and high-quality inventory and carry everything from used and new Ford models to Certified Pre-Owned. This diverse inventory allows our customers to choose from a wide selection of models and prices, giving you the options and selection you will not get anywhere else. Whether it’s the latest Ford model you’re after or an older used vehicle, we’ll have what you’re looking for. We know that price is a big factor when you’re thinking about purchasing a vehicle. A vehicle is an investment and purchasing the right one to get your money’s worth is essential. All of our vehicles are clearly listed with the price, and we include a convenient payment calculator on our site, allowing you to calculate the APR and your monthly payments so you’ll know exactly what you’ll be paying for and for how long. At Vogler Ford, we aim to make the buying process as easy and transparent as possible and strive for every customer to feel like they’re purchasing a great vehicle with the information and terms laid out upfront. At our Ford Dealership, every car is inspected and approved before being purchased by our customers. We pride ourselves on this service and want our customers to know each of the vehicles in our inventory, whether it be used or Certified Pre-Owned, are inspected and clean before being driven off the lot. When the time comes that your vehicle does happen to need maintenance or repair, even if you did not buy from us, we have a convenient and friendly Service Department at our facility where all of your needs will be taken care of. We offer a variety of services such as oil changes, brake inspections, battery tests, as well as any parts replacements or additional customized add-ons you might need. Our service department has flexible hours and convenient online appointment booking so we can get your service done fast. We also have an easy to navigate website, making it convenient for customers to begin their initial research online before deciding they’re ready to come to the dealership in person. At Vogler Ford we have an excellent Finance Department to help finance your vehicle whether your credit is good or bad. We know that loans and financing can be a hassle, and we aim to make our Ford Dealership a quick one-stop-shop for all of your buying needs. Our online loan calculator can give you an assist you in planning before you get to the dealership, and our staff in the Financing Department will be happy to help you and answer any questions you might have. Low-interest car loans are available for customers with excellent credit, and our expert finance team will go the extra mile to help those with less-than-perfect credit get the loan they need. We have an easy to fill-out loan application on our website with a time frame included so we can get back to you ASAP if you are looking to finance and purchase a vehicle right away. If you’re looking for a new car, but are unsure what to do with the vehicle you currently own, bring it into us, and we can give you a same-day appraisal. These appraisals work through trusted Kelly Blue Book values, to make sure you get the best for your trade. From financing to buying, to service, to trade-ins, we want to make sure your experience is the best. Know-how and knowledge are essential to us at Vogler Ford. 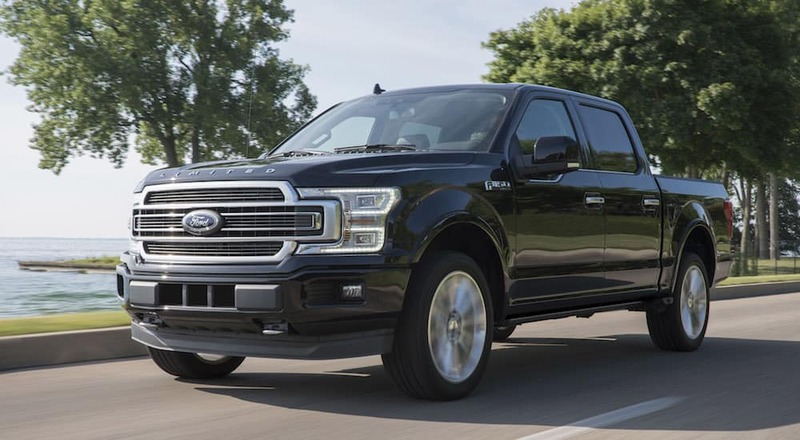 Each of our departments has highly trained staff members who can answer any questions you might have regarding parts and repairs, to the latest technology and safety features on the new Ford models. Have specific questions about performance or engines on the vehicle? Drop by or give us a call and we can answer these questions for you. From your budget requirements to the vehicle specs you prefer, we aim to provide you with a personalized and individual experience so that you feel like you are in safe and knowledgeable hands. At Vogler Ford, customer service is a priority. Every member of our staff, from our Sales to Service to our Finance department is a trained and skilled professional that can answer any questions you might have regarding our inventory, parts, and financial services. We are available via phone or in-person at our lot and are more than happy to offer our best tips and recommendations and walk you through our inventory and buying process. We are also the only Ford dealer in the region who has received the President’s Award from the Lincoln Ford Motor Company for the last two years in a row for outstanding customer satisfaction. We were also named the Best Auto Dealership for the 4th year in a row by the readers of the Southern Illinoisan in their “Reader’s Choice” awards and won the “Best Place to Buy a Car” category for the 5th year in a row. We are extremely proud of these awards and want our customers to know that at Vogler Ford, your local and dependable Ford Dealership, we work for you.